Your gift will help shape the future of our university and make a significant impact in our region. 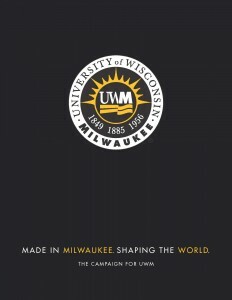 There has never been a better time to be part of UWM! THIS IS WHY we are in a historic university-wide fundraising campaign. UWM is in the midst of rapid and transformational growth, and we welcome your interest and participation. Today, we are Panther Proud of our myriad accomplishments and programs. By 2020, we aim to be even stronger academically, more accessible, and more diverse in multiple ways. We will be a more vibrant partner for community enrichment and an even more dynamic catalyst for research and development, entrepreneurship, and regional economic growth. The last decade saw the largest expansion in UWM’s history. 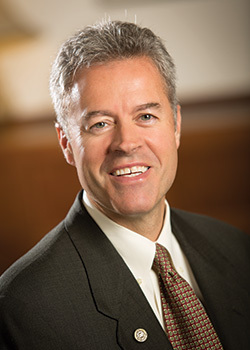 This includes the launch of the Joseph J. Zilber School of Public Health and the School of Freshwater Sciences, the first operating sites on our Innovation Campus in Wauwatosa, as well as ongoing main-campus construction in the Northwest Quadrant and the Kenwood Interdisciplinary Research Complex. Our programs continue to earn national and international recognition, and we have become a magnet for attracting excellence – enrolling nearly 30,000 students from every U.S. state and at least 80 countries. In this decade alone, UWM will graduate more than 2,400 engineers, 2,500 creative artists, 4,000 scientists, 5,000 educators, 5,600 health care and public health professionals, and 10,000 business and industry leaders. UWM has been named among the nation’s top 115 research universities, and we are proud to call Milwaukee home. Our ongoing momentum – fueled by the interest and support of alumni, friends, and corporate and foundation partners – will unleash the talent, ideas, and other resources needed to propel local and regional prosperity. Visit UWM’s 2016 Research Report to learn more. Our next decade depends on three priority areas: student success, research excellence, and community engagement. I am proud to report that, in each key area, we are moving steadily toward new growth and success. By participating in UWM’s story, you are not only shaping our future, but also making a significant impact within our community and far beyond. There has never been a better – or more urgent – time to be a part of UWM. Thanks again. Made In Milwaukee. Shaping the World.